Visiting Lakeside Ranch before we move. Our house is officially under contract in Tampa,FL!! Crazy. We have been staying up at my parents ranch for the last week. 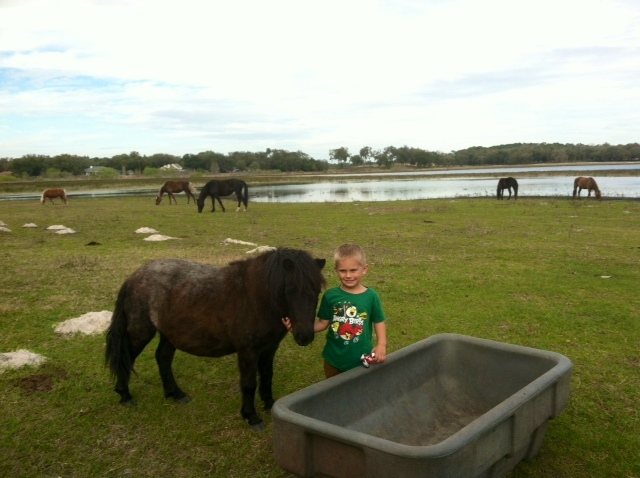 The boys love coming up to Lakeside Ranch, what we call our 1000 acre ranch in Citrus County Florida. 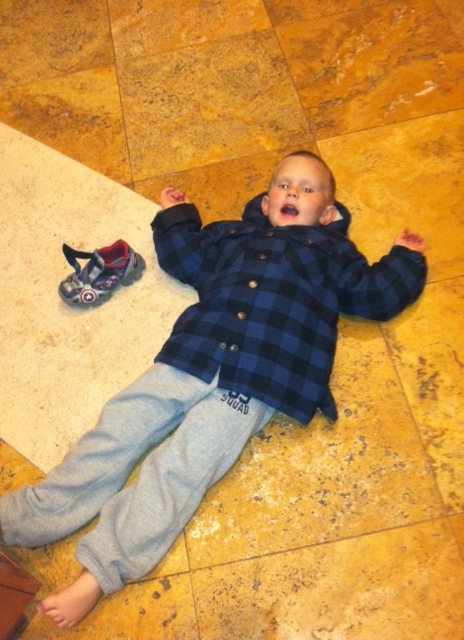 A little boys paradise…. horses, goats, trucks, tractors, burn piles, golf carts, cabins, dirt, ponies, chickens, ducks, bunnies, carriages, and pretty much anything farm related. My parents are retired and living the country life. It has been a fun-filled week. We are outside all day enjoying the beautiful Florida weather before me move west. Here are a few pictures from our stay. Inverness, Florida is a beautiful tourist destination. There are many lakes and fun parks. 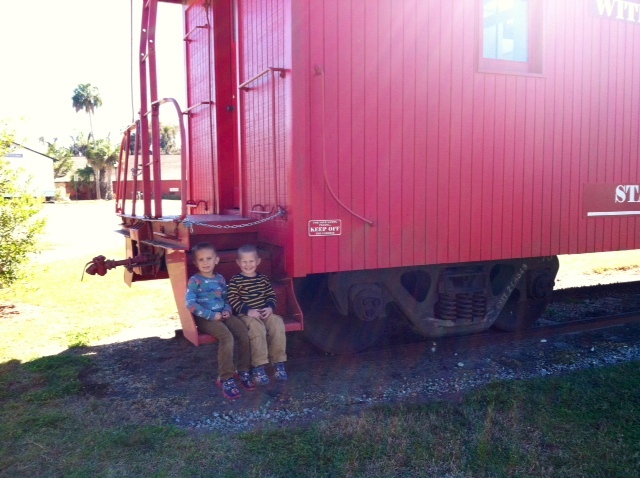 We headed into downtown Inverness one morning to get a few bikes fixed and the boys found this train car right near the shop. Boy were they excited! 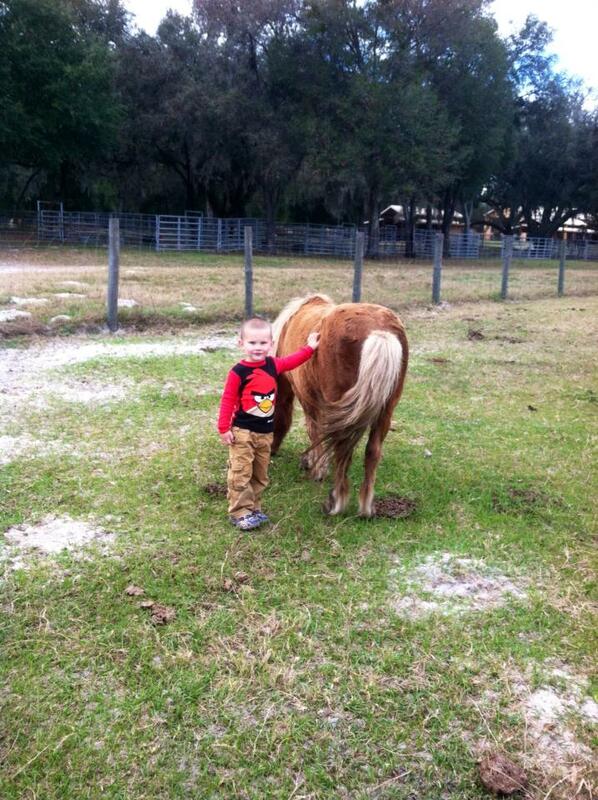 Garrett and his favorite pony Susie. He lights up whenever he gets to play with her. 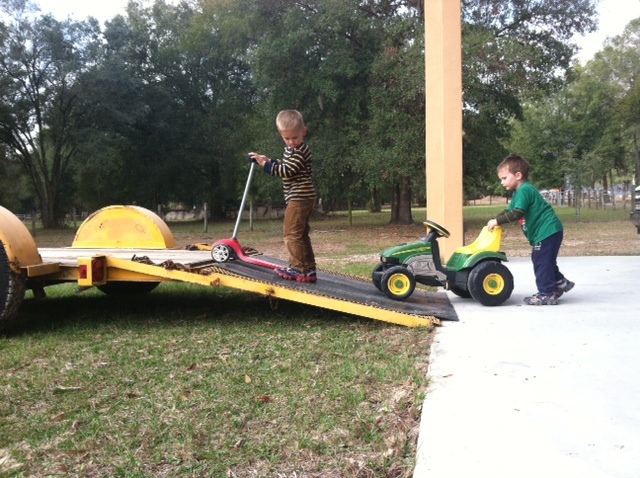 Garrett and Grant found and great mini trailer to ride up and down on. They did this for hours. 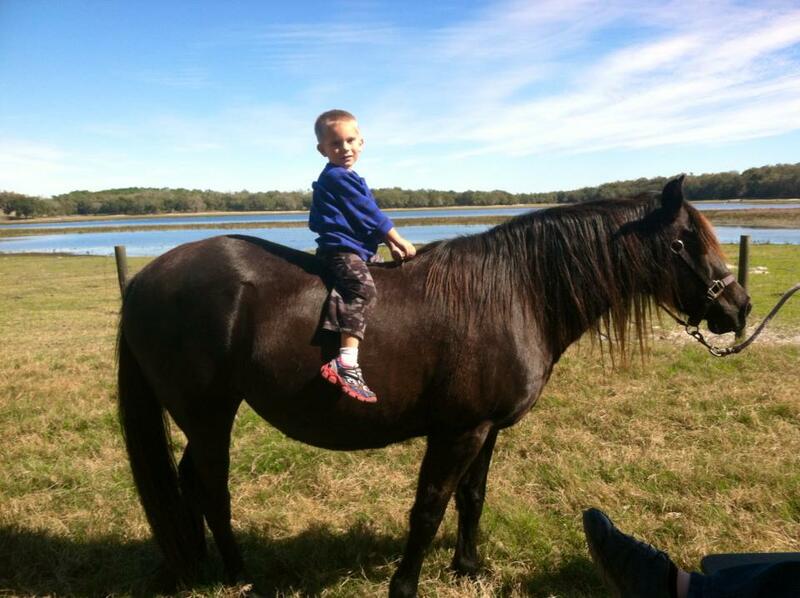 Grant riding Kentucky Lass. Kentucky Lass is an 18-year-old mare. She is very calm and relaxed with children. 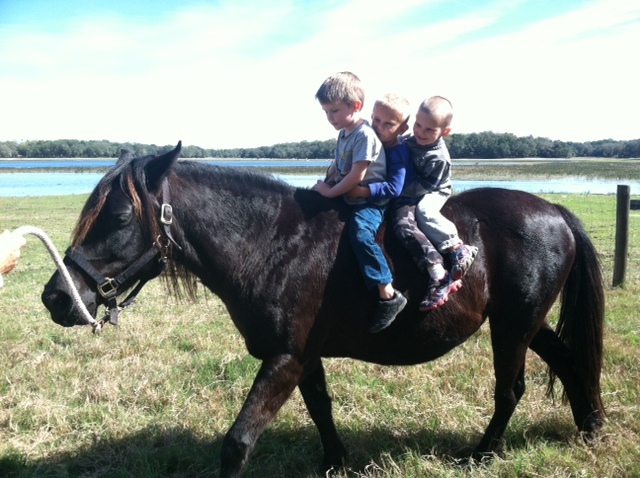 Barrett, Grant, and Garrett (cousin time) riding Kentucky Lass. Another highlight… I watched my sister’s 4 children while she went on a cruise getaway with her husband. They have the sweetest bottle fed baby goat (2 months old) and I was lucky enough to feed her a few days. It was so fun! We are going to really miss Lakeside Ranch, but we will be back to visit so soon!! !